CINCINNATI — Ten years in the making, developers and city officials broke ground on a mixed-use project in the heart of Madisonville Monday. The project, which covers a 3.5-acre site at the intersection of Madison Road and Whetsel Avenue , includes the development of 104 mid-to-low income apartments. About 24,000 square feet of new retail and office space will be built at the southwest corner, and the historic Fifth Third Bank Building will soon be Bad Tom Smith Brewing. It’s a space Mayor John Cranley calls the “living room of this neighborhood.” In addition to new retail space, a city health center will undergo an expansion. Braxton Cann Health Center will soon offer dental services as part the new development. Sara Sheets, Executive Director of the Madisonville Community Urban Redevelopment Corporation, said it took ten years to acquire the property, find the right partners and put together a complex financial package. She said people involved in the project are making 100-year decisions for the current and future residents of Madisonville. The city selected Ackermann Group as the developer four years ago. President and CEO Dobbs Ackermann has a personal connection to the area. His mother grew up in Madisonville. “I’m very proud to stand here today with Madisonville heritage in my family,” he said during a groundbreaking ceremony. Mayor Cranley said Ackermann is an “urbanist,” who is taking on quite the challenge. 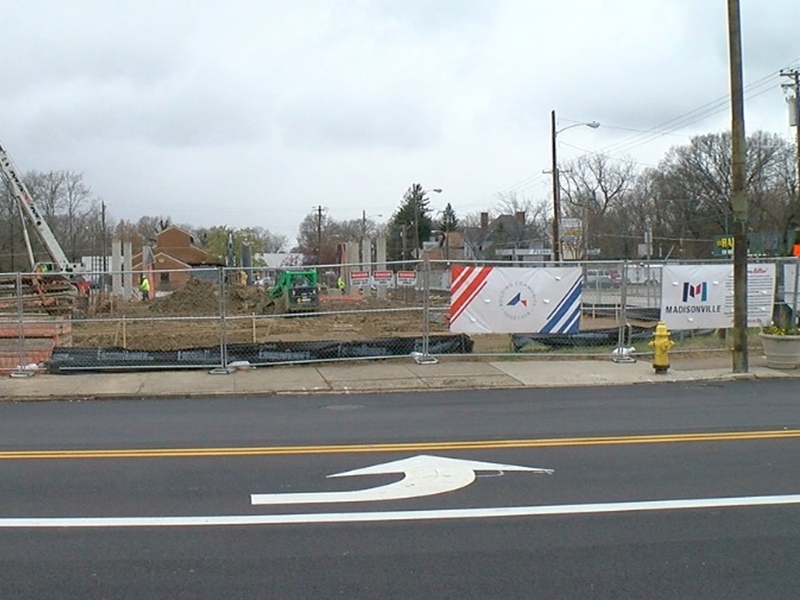 The milestone Monday follows a series of big development projects for Madisonville: Medpace is building more space for its business at Madison and Red Bank, Summit Hotel is open for business and the Red Apartments are expanding as well.